Around nine inches of snow fell on Washington Court House over the weekend and the Record-Herald recently asked the community for photos on Facebook of the winter weather in their area. 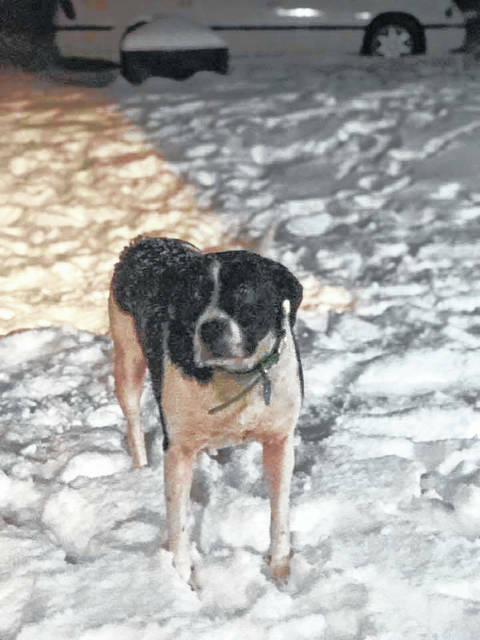 Here are some of the submissions received: Ariana Rico and her dog Kilo enjoyed playing together in the snow. Riley, Bayley and Carley Carr participated in some backyard riding over the weekend. Christopher Bellar had a difficult time walking on the slippery ice. 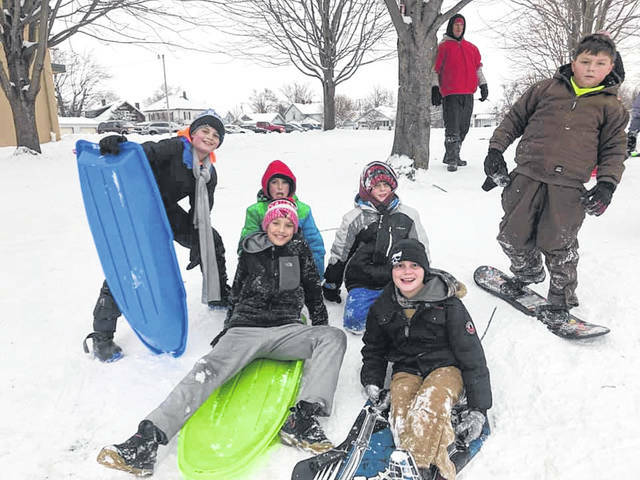 This group of friends took time to sled together on Sunday at the church hill on North North Street. The group had a blast and made some great memories. Henry enjoyed his first snow and loved being pulled in the wagon around the yard. Kyndi made belly snow angels over the weekend while playing outside. For six years now, Southern Comfort has enjoyed catching snowballs when the snow hits. Scarlett and Hoyt sledding for the first time. 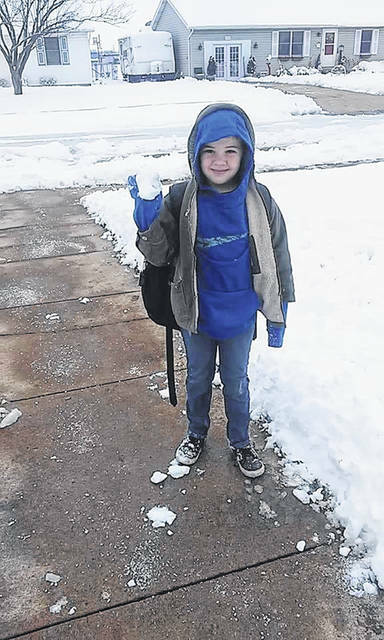 Randon Stolzenburg built a Browns snowman and called him Lil’ Baker Mayfield. Stolzenburg said “Go Browns!” to mark the occasion. McKenzie and Jaxon with their snowman. https://www.recordherald.com/wp-content/uploads/sites/27/2019/01/web1_ArianaRicoandKilo.jpgAround nine inches of snow fell on Washington Court House over the weekend and the Record-Herald recently asked the community for photos on Facebook of the winter weather in their area. Here are some of the submissions received: Ariana Rico and her dog Kilo enjoyed playing together in the snow. 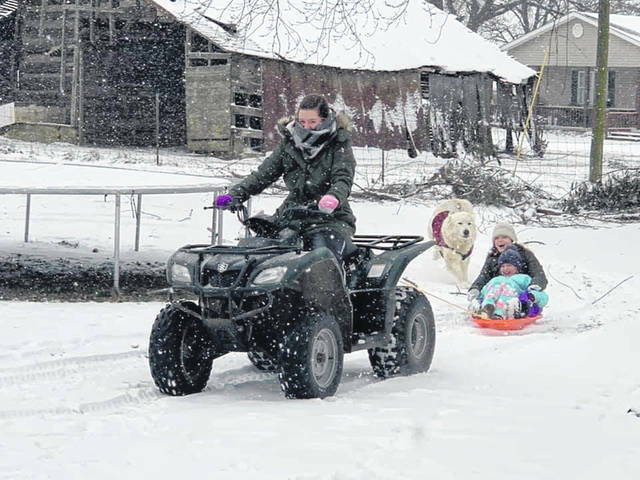 https://www.recordherald.com/wp-content/uploads/sites/27/2019/01/web1_BackYardRiding.jpgRiley, Bayley and Carley Carr participated in some backyard riding over the weekend. https://www.recordherald.com/wp-content/uploads/sites/27/2019/01/web1_ChristopherBellar.jpgChristopher Bellar had a difficult time walking on the slippery ice. https://www.recordherald.com/wp-content/uploads/sites/27/2019/01/web1_GroupofFriendsSledding.jpgThis group of friends took time to sled together on Sunday at the church hill on North North Street. The group had a blast and made some great memories. 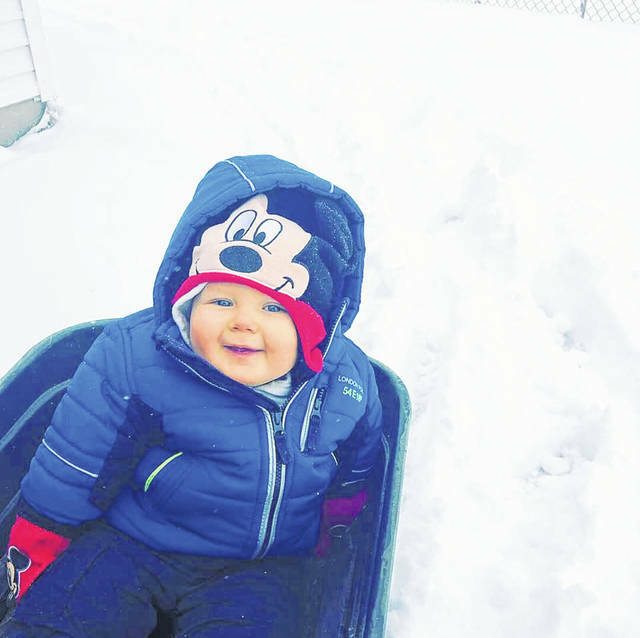 https://www.recordherald.com/wp-content/uploads/sites/27/2019/01/web1_HenrysFirstSnow.jpgHenry enjoyed his first snow and loved being pulled in the wagon around the yard. 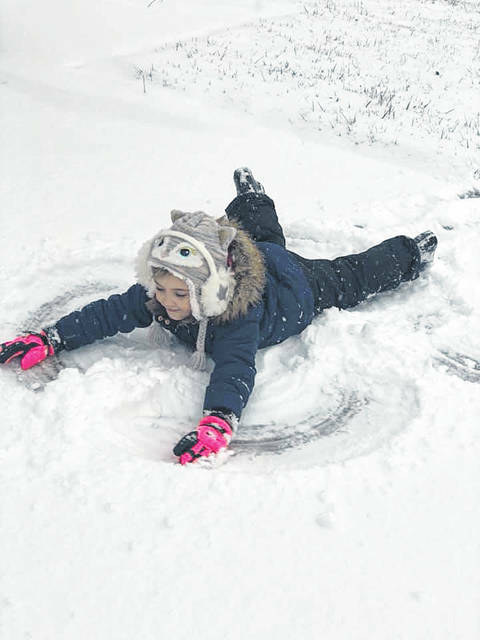 https://www.recordherald.com/wp-content/uploads/sites/27/2019/01/web1_Kyndi.jpgKyndi made belly snow angels over the weekend while playing outside. 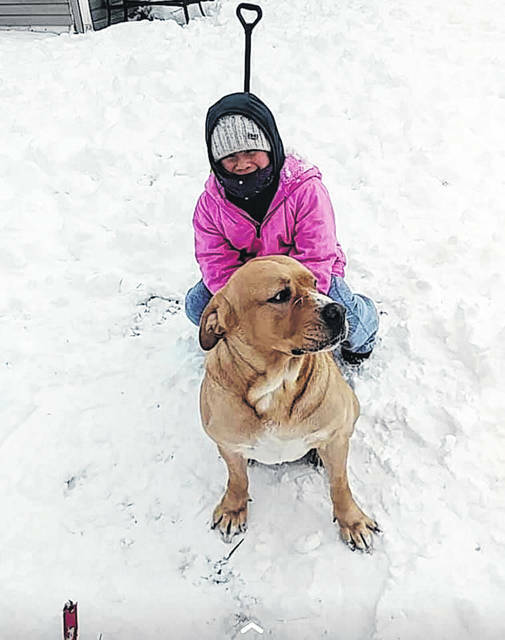 https://www.recordherald.com/wp-content/uploads/sites/27/2019/01/web1_SnowDogSouthernComfort.jpgFor six years now, Southern Comfort has enjoyed catching snowballs when the snow hits. 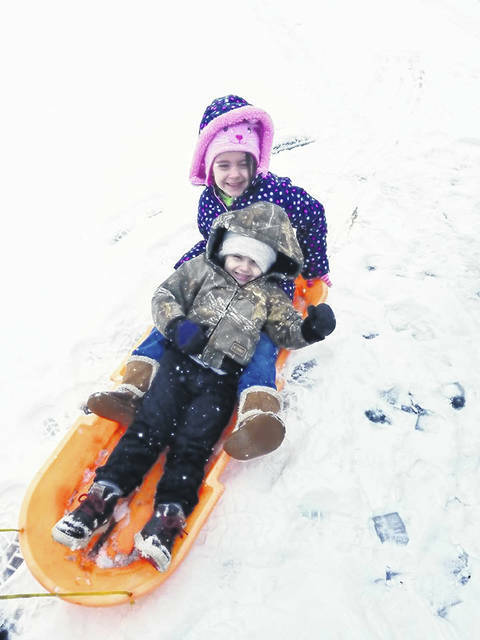 https://www.recordherald.com/wp-content/uploads/sites/27/2019/01/web1_ScarlettHoyt.jpgScarlett and Hoyt sledding for the first time. 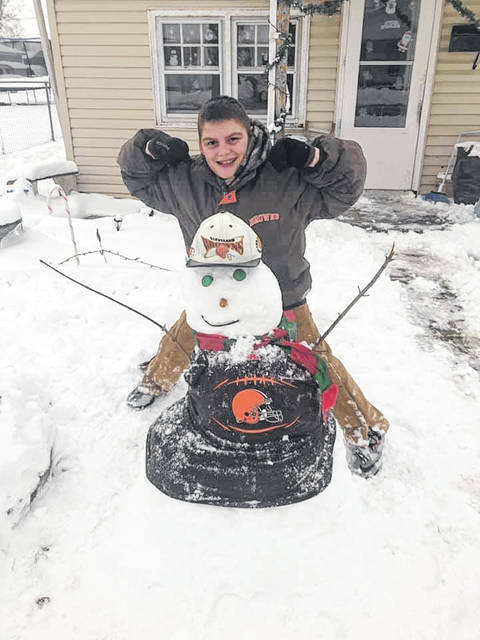 https://www.recordherald.com/wp-content/uploads/sites/27/2019/01/web1_RandonStolzenbergBrownsSnowman.jpgRandon Stolzenburg built a Browns snowman and called him Lil’ Baker Mayfield. Stolzenburg said “Go Browns!” to mark the occasion. 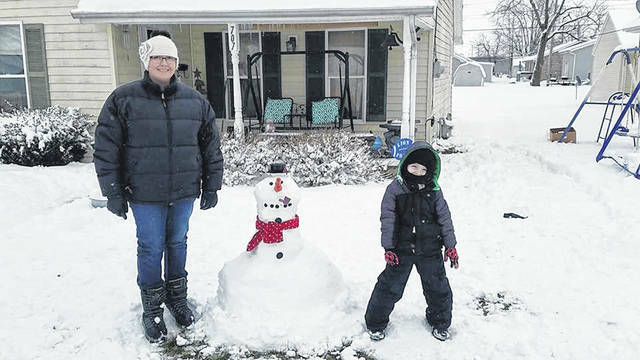 https://www.recordherald.com/wp-content/uploads/sites/27/2019/01/web1_McKenzieandJaxson.jpgMcKenzie and Jaxon with their snowman.